If there’s one thing I love, it’s trying out new tack and horse-related products. I don’t usually get to splurge on high-end horse products very often due to my unfortunate limited bank account, but when I do get the chance, I go for the stuff I’ve been drooling over for a long time. If you’re looking for your next splurge-worthy list of items, look no further for I have made a list of my current favs! The search is over – Galloping Graphics is your one-stop shop for everything custom. Not only did Elizabeth do an AMAZING job with my new logo, but her shop carries some great items such as custom stickers, mugs, t-shirts, and beautiful custom graphics. I can’t put into words how much I love my new logo and the items in her shop! They are truly unique! If there is something that I couldn’t live without, it would be this girth. I have one for both of my guys and won’t use anything else as an everyday girth. In fact, Diablo has had used his every day since I got it in 2016. They are so easy to clean with the removable neoprene lining, and both ponies seem to think they are pretty comfortable. I’m a little obsessed with The Herbal Horse’s products now that I have been using them for the past few weeks. However, their Healthy Hair salve really stood out to me due to its luxurious smell and the results I have had with it. This honestly has to be my favorite item that I have ever purchased off of eBay. I got lucky and snagged this gem for $200 – it retails for $500 brand new on CWD’s website. The best part is that it only had five rides on it when I purchased it! It has now become a part of Diesel’s show wardrobe and looks fabulous on him! Plus, the leather is so soft and supple that it feels like butter in your hands. I was really surprised that I actually liked the more narrow noseband as I gravitate towards wider noseband bridles. However, the noseband on this one really shows off Diesel’s features. I definitely splurged a lot on this purchase even though I snagged it while on sale. I have to say, it was definitely worth it though as the halter is just beautiful! Saucy Piaffe is so great that I have been a repeat customer of their’s for quite some time. All of their products are great! As a standing wrap girl, I told myself that I would never own a pair of these. But alas, the temptation was too strong after the baby horse decided that taking standing wraps off is fun. They are definitely pricey, but the ease of putting these on and taking them off makes it worth it. I ended up buying these reins spur of the moment off of a Facebook group when I found them for a price I just couldn’t pass up on! These reins are usually pretty pricey, but I managed to snag them brand new for $40. They have flat buffalo leather fronts, which I have found makes them super durable. Plus, the rubber portion of the reins is probably the grippiest rubber I have ever felt on a pair of reins. This is one of several BOT products that have made my list. As it turns out, I am an avid fan of BOT. In fact, I own several of their products and use them all the time. I bought BOT’s back pad on a whim for $30 from a Facebook group in an effort to try and avoid forking out the money for one of their coveted mesh sheets. At first, I wasn’t quite sure how I was going to like the pad, but it has quickly become a staple in Diablo’s warm-up routine. This is probably no surprise to anyone. I’m a saddle pad hoarder with an affinity for anything that is customizable. You definitely need it!! And I agree, the SmartPak girth is the best! I’m definitely a fan of galloping graphics too! Hi! I’m Ashlyn – a UGA pre-vet student, an equestrian, and a corgi lover. 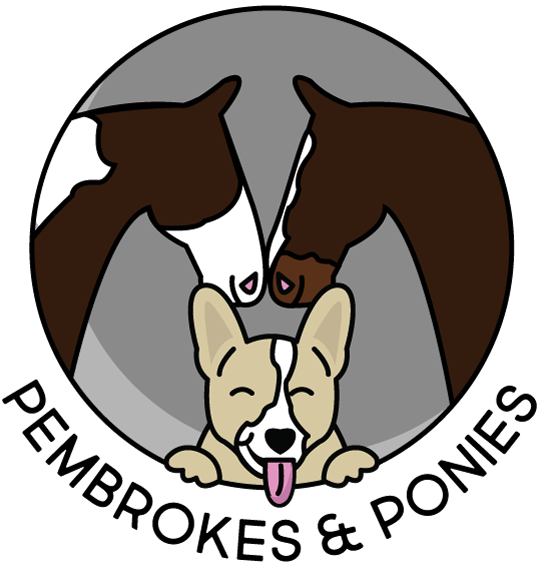 Join me in my adventures with my Pembroke Welsh Corgi and my two ponies as I take on the world as an adult amateur!